The Stockton Center on Successful Aging (SCOSA) partnered with the Otto Bruyns Public Library of Northfield sponsor the ongoing senior poetry workshop series titled “A Tour of Poetry for Seniors.” Workshops are held one Saturday each month from 11 a.m. to 1 p.m. and include a lecture on poetry and reading from a visiting poet. A light luncheon is offered, compliments of the Library and local food service businesses. At the end of the year, an anthology of the group’s poetry is published. Writing is rewriting, and no poem has ever entered this world perfectly formed. Still, one of the finest points of revision is developing and executing a plan that improves and accentuates without destroying passion or diluting meaning. During the workshop, we’ll examine strategies for revision. We’ll write based on a prompt, then share and discuss each other’s work. 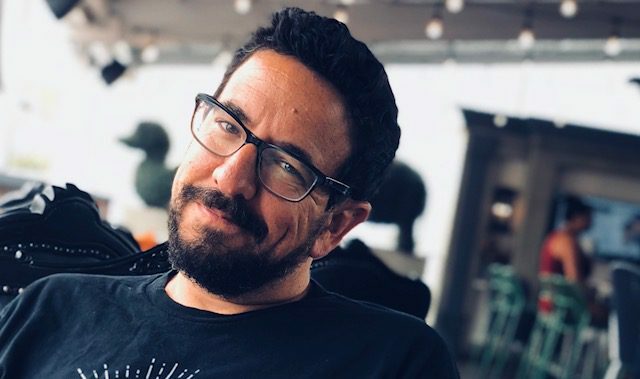 Joe Costal’s writing has appeared in dozens of magazines and journals, most recently published by Barrelhouse, Diode Editions, & Philadelphia Stories. An excerpt from his unpublished novel is forthcoming in Painted Bride. Joe teaches writing at Stockton University. He recently presented a workshop on voice at Grub Street’s The Muse & Marketplace, North America’s largest literary conference. The library is located at 241 West Mill Rd., Northfield, NJ 08225.